Men, have dressing easy. There are few activities in DC that a sport coat and pair of khaki or black slacks cannot solve. So what does ‘Creative Attire’ mean exactly? It means that you can have fun and be a little more extreme than your safe navy blazer paired with sensible pumps. This is not, however, a costume party—think of it as an inspiration party. If Lady Gaga would attend, what would she wear? The sirloin cut of beef or a basket of glitter? Lady Gaga is not dressing as someone else, she is exploiting extreme details or ideals and making them into creative outfits, often at complete odds with fashion trends and with little regards to weather conditions. Ok, so Lady Gaga you are not—where to start? First, take an honest look at your shoes and socks. Are they black, brown or cordovan? Are your socks white, navy or black? 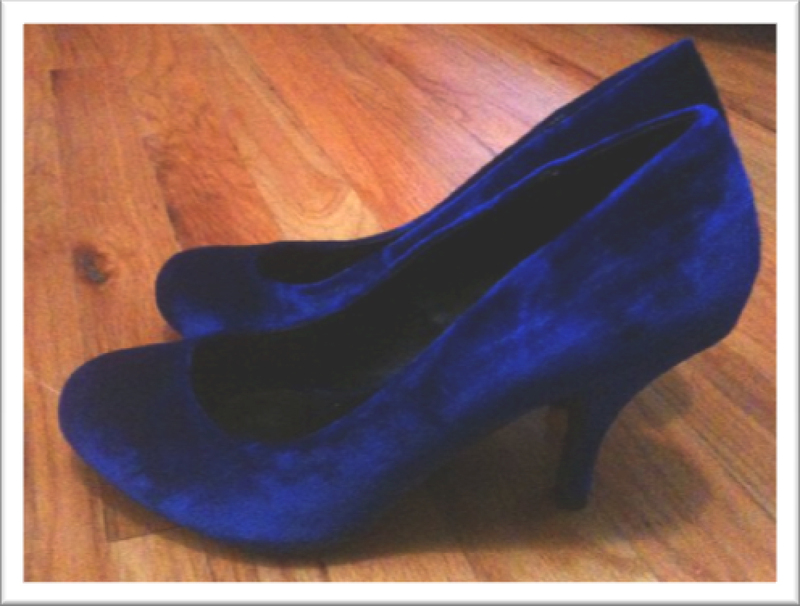 Try buying sensible pumps in metallic pink or blue velvet (see below). Most big-box retailers and online shops, such as the eponymous joyofsocks.com can help you punch up the bottom half of your wardrobe. Many shoe retailers offer fun color and texture options or bejeweled accessories such as shoe clips that can vamp-up an existing shoe without damaging it or spending extra cash. Now that you have your new socks and fanciful shoes take a look at your head. The royal wedding this past May re-introduced the American audience to a whimsical procession of hats and be-feathered headgear known appropriately as ‘fascinators.’ You can find fascinators and lovely unisex fedora-style hats at Eastern Market every weekend or try online at etsy.com, a hub for crafty individuals to sell their wares (see below). 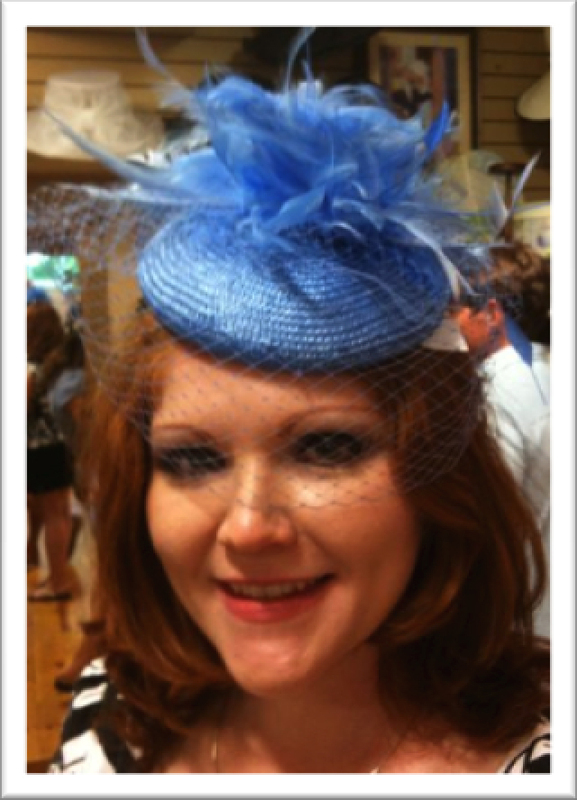 Fascinators come in all materials and in all shapes and sizes, are typically for women and typically do not cover the entire head. They attach by headbands, clips and hairpins. Then go back to your main outfit – try mixing and matching separates (shorts/pants/skirts/tops) and scour thrift stores for fun finds putting some pieces together that would not usually be paired together. Remember you are not making a costume, you are making a creative outfit so be inspired by Superman’s undies on the outside of his tights but remember you will be seeing your friends and neighbors inspirations too and edit or restrain yourself appropriately. Putting it all together – fun shoes, fun hats and some mix and matched separates. For the gentlemen, all items were found in the closet the day of Artsmash. 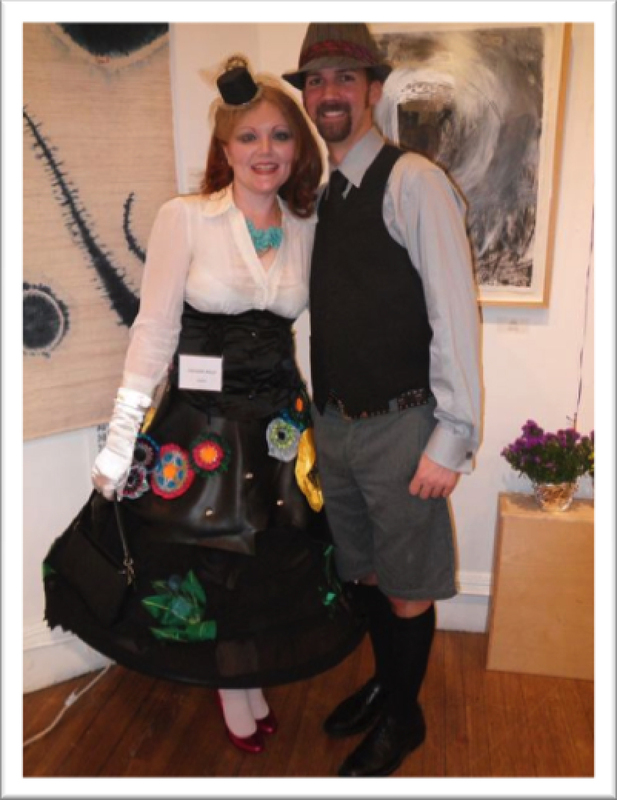 For the lady, the hula-hoop-based skirt was custom made with the rest of the outfit scoured from pre-existing and not specially purchased separates and accessories. The important thing is to have fun! Think of your mother’s oft-proffered advice about taking one accessory off before leaving the house and reverse it. More is in fact more at Artsmash!